Our recent smart home articles have revealed our readers’ preoccupation with security: people are worried about the risks inherent in adding connected devices throughout their home. We’ve written a bit about the security risks inherent in the IoT Why The Internet of Things Is The Biggest Security Nightmare Why The Internet of Things Is The Biggest Security Nightmare One day, you arrive home from work to discover that your cloud-enabled home security system has been breached. How could this happen? With Internet of Things (IoT), you could find out the hard way. Read More , but the conversations centered around a few of my own articles inspired me to seek out some experts to get more details on the risks of smart homes and what can be done about them. When I set out to research this article, I immediately ran into an interesting problem: there aren’t many companies who are pushing smart home security solutions—and for a quickly growing market, this was quite surprising. 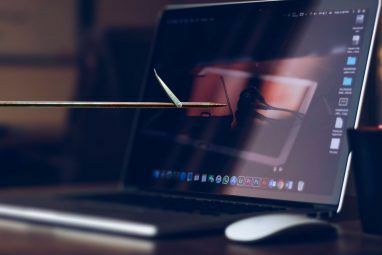 Alongside a few Kickstarter campaigns, were a few anti-virus packages Free Anti-Virus Comparison: 5 Popular Choices Go Toe-To-Toe Free Anti-Virus Comparison: 5 Popular Choices Go Toe-To-Toe What is the best free antivirus? This is among the most common questions we receive at MakeUseOf. People want to be protected, but they don’t want to have to pay a yearly fee or use... Read More that offered some protection for smart devices, but not much else. Fortunately, as I kept looking, I came across a young company called Itus Networks. Itus was founded by Jock Breitwieser and Daniel Ayoub, two guys who have years of experience in network security, mostly in the small-to-medium-sized enterprise (SME) world. When I spoke with them they told me that they moved into the consumer security industry when they saw a huge gap in the market; plenty of security options for SMEs existed, like enterprise-grade firewalls, but they were too expensive and complicated for home use, leaving most consumers with poor levels of protection. 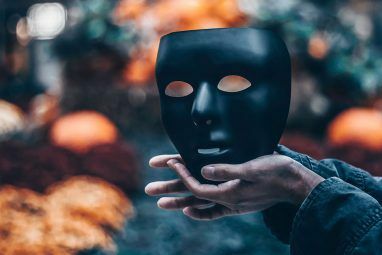 Interestingly, they also told me that many of the big IoT security problems have been well-known in the security world for a long time (though myths still abound 5 Security Software Myths That Can Prove Dangerous 5 Security Software Myths That Can Prove Dangerous Malware is still a thing! Tens of millions of PCs remain infected worldwide. The damage ranges from unstable computers to identity theft. What makes people not take malware seriously? Let's uncover the myths. Read More in the consumer sector), but no one had previously stepped up to do anything about them. When I asked why these security flaws were so persistent, they gave me a simple economic explanation: in consumer electronics, “the name of the game is . . . really high volume and low margin.” Spending money on developing security isn’t a priority—it’s too expensive. In addition to that, Ayoub made the great points that security “is not [consumer electronics manufacturers’] core competency” and “is often something they do as an afterthought.” Security isn’t a priority, and that’s not likely to change. [T]hey all have security as . . . one of the features that they list on the box . . . or they will have a checklist, and security is one of the checkboxes on there. And that’s not exactly a lie; it’s just a little bit of a stretch, because the technology that they rely on . . . is just completely outdated. He went on to tell me that at a recent hacking conference, DefCon 22, there was a router hacking competition called SOHOpelessly Broken (SOHO refers to small office/home office devices) that sought to publicize the outdated and ineffective security that’s built into SOHO routers. Not a good sign. Breitwieser and Ayoub also talked about how security updates from manufacturers are almost always of a reactive nature, and rarely of a proactive, preventative one, which means that hundreds of thousands, if not millions, of devices could already be infected before a patch is released. And with more and more devices going online, it’s getting harder for users to keep up with and implement those updates. After talking to the guys from Itus for a while, it was clear that the security situation for smart homes devices isn’t very good. In fact, it’s really bad. But it’s not just smart devices; it’s home networks in general. SMEs are getting more advanced protection than consumers, and the technology hasn’t been trickling down. Itus set out to change that. Right now, Itus is working on the final stages of testing and quality assurance for the iGuardian, an inline intrusion prevention system. It’s a device that goes on the line between your modem and your router and inspects all of the traffic going in and out of your home. It makes comparisons to known malware, viruses, trojans, and other malicious traffic, and if it finds a match, it drops the offending traffic, whether it’s from your computer, phone, or smart appliances 5 Smart Home Appliances You Should Be Buying 5 Smart Home Appliances You Should Be Buying The "smart home" concept is taking off and you should be keeping up, otherwise you'll end up missing out on the future. Read More , and resets the connection. 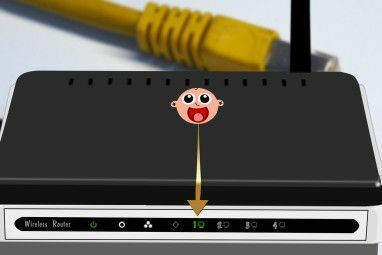 By sitting between your modem and router, the iGuardian does what anti-virus software can’t: it stops bad stuff from hitting your devices. Anti-virus software can quarantine the suspicious files or code once it’s already on your machine, but it can’t prevent it from at least getting in the door. “[Inline intrusion prevention] is pretty much the best and only way to be able to mitigate a lot of those risks,” says Ayoub. The Itus guys explained to me that most cybercrimes are crimes of opportunity Top Five Computer Crimes & How to Protect Yourself From Them Top Five Computer Crimes & How to Protect Yourself From Them Read More ; criminals cast a wide net to capture as much data as possible, and they’re unlikely to spend a lot of time trying to get through the defenses of a specific household. If it’s going to take them more time to get through a firewall or something like the iGuardian, it’s just not worth it. And if someone does take the time to attack, they’re going to find it difficult to deal with the iGuardian—without a lot of digging, it doesn’t even show up on an attacker’s computer. It doesn’t have an IP address, so it’s a very stealthy protection system. It also makes it easy for Ayoub’s 70-year-old mother to stay protected: it’s plug-and-play, installs in five minutes, and updates automatically. The biggest competition [for Itus and the iGuardian] is people who think they have nothing to protect. Breitwieser cut right to the chase with that statement: everyone has things to protect, and everyone has things that they need to hide. It may not be a secret identity or a blackmail-worthy past, but just about everyone has logins, credit card information, health records, tax documents, and other valuable pieces of information on their computers, and these are the things that make hackers money. We’ve talked before about how “I have nothing to hide” is a bad reason to not fight against internet surveillance Lessons Learned From Don't Spy On Us: Your Guide To Internet Privacy Lessons Learned From Don't Spy On Us: Your Guide To Internet Privacy Read More , and it’s just as bad a reason to not protect your home network. 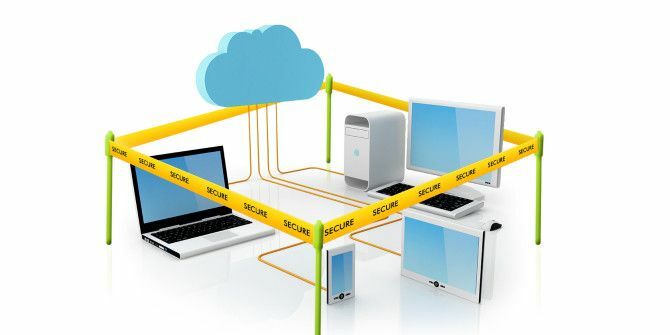 And after talking with Jock Breitwieser and Daniel Ayoub of Itus Networks, it’s clear that anti-virus software and “secure” routers just aren’t going to cut it, especially in the age of the connected home What Is A Smart Home? What Is A Smart Home? We recently launched a Smart Home category at MakeUseOf, but what is a smart home? Read More . The iGuardian is filling a huge market gap, and it seems like a perfectly sensical, very effective way to go about it. The iGuardian is currently available for pre-order for $149, and Itus hopes to ship it early next year. Image credits: Home Electronic Devices via Shutterstock, Social network thief stealing money by reaching his hand picking up dollar banknote from wallet on screen of smart phone (edited) via Shutterstock. Explore more about: Internet of Things, Online Security, Router. The difference, I think, is that these guys promise a plug & play experience. Yes, that's also a big part of it. If you already have something set up, it might not make a whole lot of difference to you. But if you already have something complicated in place, you might not be the target market, as you're likely very tech-savvy. The plug-and-play nature of the iGuardian will likely be a big selling point for most people. I have a sonicwall tz210 with the latest IPS, Deep packet inspection, etc.. How is this any better? Again, I'm not sure what Sonicwall is, but it seems like it protects your PC. Is that correct? If it is, the benefit of using the iGuardian is that it monitors all of the incoming and outgoing traffic for your entire home. What is the difference between iGuardian and m0nowall, SmoothWall or any other security distro? I'm not familiar with those, but from what it looks like, they're firewalls that you use for your main PC. Is that correct? If it is, then the difference is that iGuardian is a separate box that monitors all incoming and outgoing traffic, regardless of the device that it's going to in your house. So it can protect your smart devices, your phone, computer, tablet, and so on.